At Medstead Marquees as well as our Capri style marquees we have a range of framed marquees in all sizes to suit your event, we can cater from small garden parties to large Weddings. Our framed marquees are made from aluminium or steel with brilliant white PVC walls and roofs, these marquees can be set up on any surface from grass to gravel to stone and tarmac. 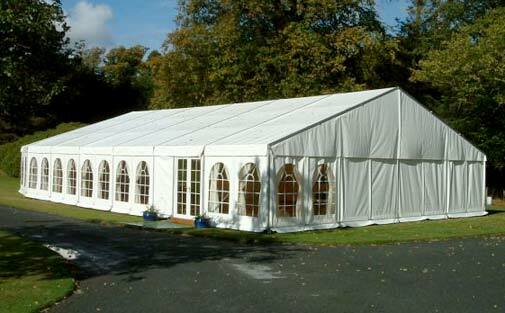 Framed marquees are perfect for traditional weddings, corporate events garden parties, outside bars and winter Parties.